On the eve of California’s experiment with legal marijuana sales, the Bay Area is dividing into a kaleidoscopic landscape as cities and counties race to enact laws by the start of the new year that reflect their hopes and fears. Will there be a flood of tax revenue from cannabis to fix potholes and hire more cops? Or will marijuana sales trigger blight, violence and other ills? After the decision of California voters last year to legalize recreational marijuana, similar-seeming places are reaching very different conclusions. And different places, oddly, often seem to agree. One college town, Santa Cruz, is pro-marijuana sales. Another, Palo Alto, is opposed. One working-class East Bay city, Richmond, has said yes to recreational marijuana sales. Another similar city, Antioch, has said no for now. Unprepared and overwhelmed, many cities are hitting the pause button as they brace for debates over planning, zoning and tax rates. While these cities support legal weed in theory, in practice they’re less sure. They seem startled, as if to ask: How did Jan. 1 get here so soon? “People have assumed a quick ramp-up, but a lot of communities weren’t having those conversations.” said Courtney Ramos, vice president of Mountain View-based Matrix Consulting Group, which is advising cities and counties on how to deal with marijuana ordinances. A century of prohibition kept marijuana laws pretty simple, but the passage of Proposition 64 in November 2016 has complicated things, creating a cultural Rorschach test of sorts, revealing cities’ deeply held values. Despite the passage of the statewide ballot measure, California cities and counties still have the power to ban sales and cultivation within their borders. Some dug in their heels this month, saying the state’s rushed emergency rulemaking process didn’t give them enough time to prepare. Local regulations must mesh with the state framework, released in mid-November. A 25-mile, left-leaning swath of the East Bay — from Hayward to El Cerrito — will allow marijuana sales. The artsy agricultural coast, from Pacifica to Santa Cruz, is also marijuana-friendly. The Bay Area’s three big cities — San Jose, San Francisco and Oakland — are OK with it. Young-and-hip Mountain View is getting there, but says it needs more time to write regulations. 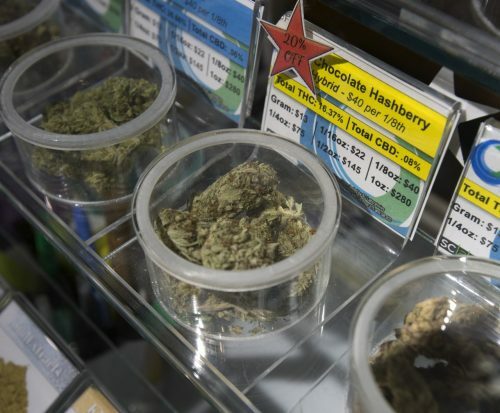 But recreational marijuana sales will be banned for now all along the Peninsula, and family-focused Contra Costa County towns such as Pleasanton and Orinda. Heavily Asian-American places like Milpitas, Fremont and Daly City have rejected legal marijuana for now, which is consistent with election results. Polls showed that while Proposition 64 was backed by solid majorities of whites, Latinos and blacks, most Asian-Americans didn’t support it. Some cities, however, defy expectations. Albany, “Where the Bay Comes To Play” at Golden Gate Fields racetrack, isn’t betting on marijuana. A few cities, like Palo Alto, are rejecting brick-and-mortar shops but will allow delivery services to drive marijuana to their residents. Every Bay Area county voted overwhelmingly in favor of Proposition 64 in November 2016, but only Santa Cruz County will permit marijuana sales in unincorporated areas. Sales in unincorporated Santa Clara, San Mateo, Alameda and Contra Costa counties are now prohibited. Marin County, once known as the land of hot tubs and New Age thinking, is saying no. Eight of its 11 cities are slamming their doors on recreational marijuana — even Fairfax, the site of California’s first medical marijuana dispensary more than 20 years ago. Beyond the Bay Area, the prosperous cities of Sacramento, Davis, Los Angeles, Long Beach and San Diego are all in. They have long histories with medicinal cannabis sales, with little evident harm. A few of depressed Central Valley and desert towns have said yes to recreational marijuana. Bankrupt Coalinga authorized marijuana growing in its abandoned prison and an area zoned for auto wrecking yards. The fading resort town of Desert Hot Springs, nicknamed “Desert Pot Springs,” is planning a cannabis spa. Also welcoming is Adelanto, a high desert town in San Bernardino County with four prisons, cactus and not much else. Perhaps the debate is better understood through the tale of Santa Cruz and Palo Alto. Santa Cruz — well-educated, pricey and proud of its progressivism — is home to a University of California campus with a dual reputation for top-tier research and permissiveness. The transition to legal marijuana in the coastal city and in unincorporated Santa Cruz County is expected to be seamless. The licensing of dispensaries has already begun. There will be 12 dispensaries in the county and two in the city. “This moved into our line of sight five years ago,” said Jason Hoppin, a spokesman for the county government, which already had a medical cannabis ordinance in place — and the sky didn’t fall. It’s not that the issue didn’t spark spirited debate, but that was long ago, he said. Ready to start sales on New Year’s Day, dispensaries like the KindPeoples Collective are busy stocking up on all the marijuana flowers, waxes and candies they can afford, as they await the state’s temporary license. Located between “4 Less Termite” and Carmat Collision Center, KindPeoples Collective is in a former motorcycle repair shop and features psychedelic art and an aquarium. But liberal Palo Alto, home of Stanford University, is wary of marijuana. The city doesn’t want drug-seeking outsiders. It has low crime and high property taxes that provide panoply of city services — and a lot to lose should things go awry. Palo Alto’s rejection of marijuana sales came in November after a long City Council debate that included testimony by a geneticist about the potential risk of disease-causing mutations from smoking marijuana. The city doesn’t allow medical marijuana sales either. The ban came as a relief to longtime residents such as Hal Mickelson, a retired senior attorney for Hewlett-Packard. Across the bay, Antioch and Richmond provide a different tale, with shared stresses but diverging decisions on marijuana. Both cities are diverse working-class towns with more than 100,000 people that struggle with crime and pockets of poverty. The Antioch City Council’s vote in November — for a third extension of an emergency ordinance that blocks cannabis businesses — was plagued by confusion and poor preparation. Nearly a year ago, the council asked its Economic Development Commission to review the issue. It also asked for community workshops. Yet there were no updates and no workshops. Leaders of Richmond, a city facing profound pension-related budget problems, voted differently. The industrial waterfront city has had six years of good experience with its medical dispensaries — nondescript places with security guards in depressed shopping centers. The City Council’s debate — thoughtful and good-natured — focused largely on protecting its taxpaying dispensaries, while cracking down on street sales. “They have thrived under our strict regulations, and I don’t want them to be overtaken by other neighboring communities,” said Councilman Ben Choi. The city’s solution: Yes to recreational marijuana, with limits. Only the three current dispensaries will get licenses. Cultivation will also be allowed, but only in empty warehouses such as the early 1900s-vintage Pullman Company railroad-cars repair facility. Growers must donate $25,000 for neighborhood beautification. “The city shows us love — and we love them,” said Rebecca Vasquez of the Holistic Healing Collective, a dispensary with big expansion plans that’s now located next to a Starbucks and a real estate business.